This (sk)intellect is spilling the beans on her beauty line, journey with PCOS, being a #BossBabe, and everything in between. 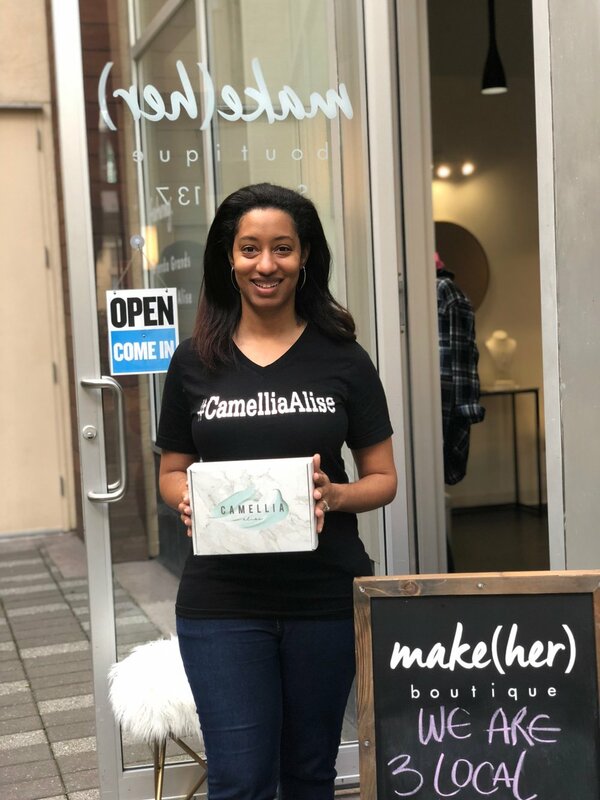 Meet Lyndsey Brantley, founder, and owner of Camellia Alise skincare located in the Make(her) Boutique in Downtown, Houston at GreenStreet. After reading this feature, make sure to swing by her studio to revamp your routine! What is one thing your journey with PCOS taught you? My journey with PCOS has taught me to never give up on the desires of my heart. I was so disappointed to learn that I had PCOS and might experience infertility because of it, but I now have an amazing 5-year-old son who just proves that anything is possible and you can have the desires of your heart! Give us the cliff notes version of how PCOS affects the skin? PCOS affects the skin in many ways. It can cause skin tags, hair loss, excess hair growth on face and body (hirsutism), dark skin patches, and dry rough skin texture. Most of which are caused because of the hormone imbalance suffered due to PCOS. As your hormones shift your skin and hair shift along with it so it’s all about finding a way to balance things out. What’s your top tip for someone dealing with skin irritation from shaving? My biggest tip for someone suffering from irritation from shaving would, of course, be to utilize Camellia Alise Products to eliminate it!!!! In all seriousness it would be 2 things, 1) exfoliate regularly because the skin cells need to be shed regularly in order for you to maintain healthy vibrant skin and 2) is to moisturize, when you are shaving you are removing a top layer of your skin and removing moisture along with it so you need to soothe your skin by adding moisture back into it. What’s the secret ingredient to easing painful ingrown hairs? Exfoliate, Exfoliate, Exfoliate!!!! Those hairs will remain stuck underneath the follicle if you don’t do something to get them out. You have to extract them and cleanse them. You also need to do something to prevent them from coming back - by exfoliating regularly you are preventing the hairs from growing back into the follicle and preventing those painful ingrown. What can people expect when they come into the Make(Her) boutique? When you come into Make (Her) boutique you should expect to be warmly greeted by one of the 3 co-owners of the store and to find some great handmade Jewelry, Texas Apparel, Skincare items, and giftable souvenirs. 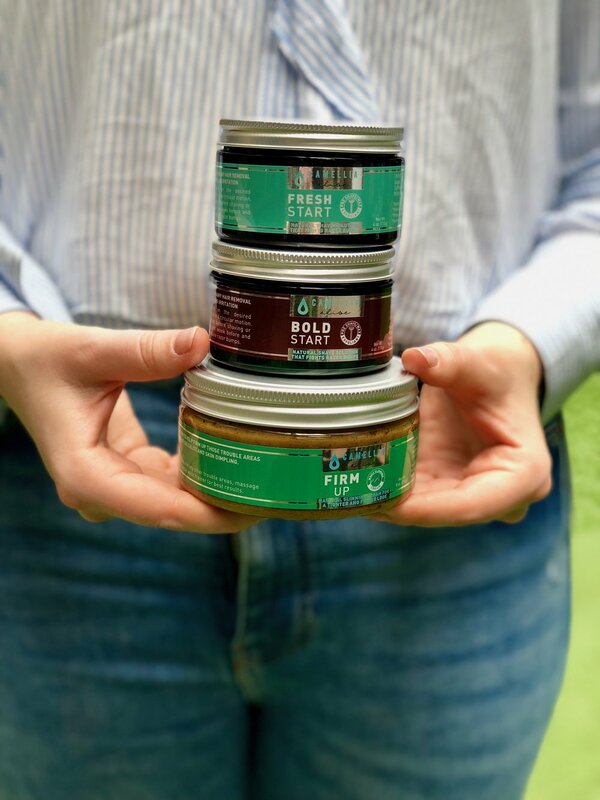 The store is an eclectic mix of three very talented business women and we have each put our own little touches on it so it makes for an enjoyable yet unique experience. Because we like to self-care and Netflix at the same time…last show you binge-watched? Black Mirror….its a pretty cool show! Who is your skin care #goals? I have 2. I admire Tiffany Masterson, founder of Drunk Elephant and Debra Myers, founder of Enfusia, these ladies give me a vision and goals to strive for! It’s date night! Where are you headed? Date night for me and the hubby consists of dinner and a fun movie (Normally he picks a Marvel Movie Lol)! 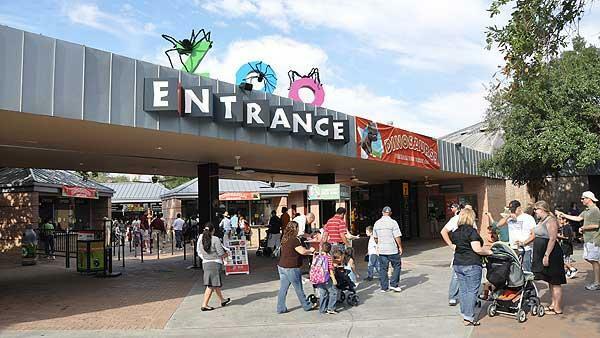 Where’s your favorite place to visit in Houston for family fun? We absolutely love the Houston Zoo - they have a little bit of everything to keep our little guy happy and occupied so we enjoy hanging out there!